Why Microsoft asked people to make 3D scans of their faces in Seattle « Adafruit Industries – Makers, hackers, artists, designers and engineers! 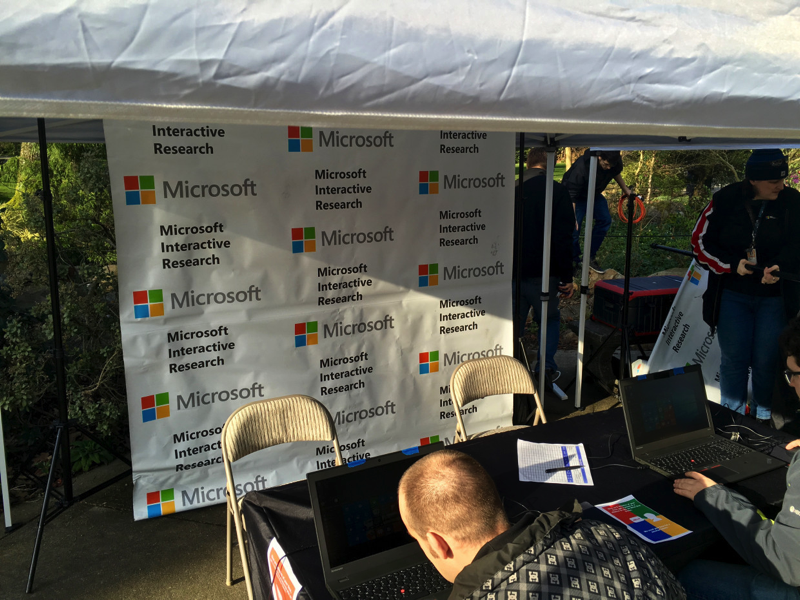 Microsoft representatives set up a research station to make 3D infrared scans of the faces of volunteers to help the company test new versions of Windows Hello, the biometric login system for Windows 10. The idea is to gather a wide variety of real-world scans to improve the accuracy of the facial recognition technology. Volunteers signed a privacy agreement in advance, stating that the scans would be used purely for research purposes. I was one of the last volunteers of the day. The process took about 5 minutes, requiring participants to sit on the other side of a computer, facing a camera array taped to the back, and then move their face and adjust their body in a variety of prescribed motions to capture an accurate scan.